Eversave Thursday Giveaway! Win Dinner for Dad! 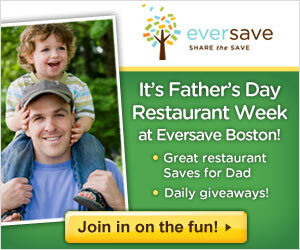 And we are back with another giveaway for dad (or for you) from Eversave.com! Today’s awesome deal is $15 for $30 at Fuji Steakhouse in Needham! Now, who doesn’t love chefs making onion volcanos and flipping shrimp into their hats? Welp, today you have the chance to win that $30 save to Fuji Steakhouse! Woohoo! In honor of dad and food, today’s contest asks you to share a favorite restaurant memory with me that involves your dad. I have a doozy of a story that involves my sister trying to stab my dad’s hand w/ a steak knife at a Sizzler in order for him to stop eating! If you know my dad, you will absolutely believe it is true! Follow Eversave on Twitter or Facebook and comeback here to comment you did so. 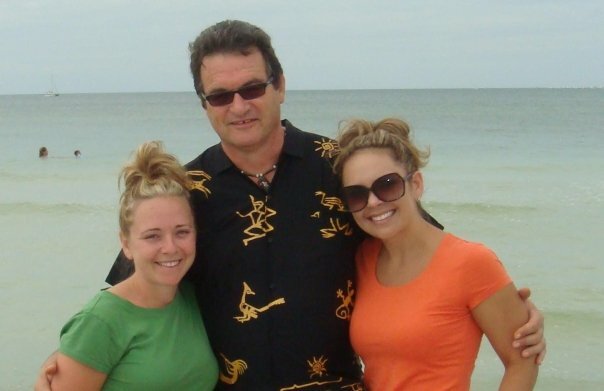 Also in the comment, tell me what your favorite restaurant memory of your dad is! All winners will be randomly selected and announced Friday afternoon (6pm) at which point Eversave will email you your prize. Make sure to come back Friday to enter to win another great prizes from Eversave! Disclosure: I did receive compensation from Eversave.com in order to broadcast this week’s giveaways. I have not been to the Fuji Steakhouse, nor am I endorsing it. I do stand behind Eversave.com as my very favorite “deal site”, going back to way before any partnership I have with the site now. I have used Eversave as both an advertiser and as a consumer and have always been very happy.